L'Austral, a sleek yacht launched in 2011, is small enough to provide a truly intimate cruise experience; her size makes her ideally suited for visiting ports that bigger ships can’t reach. L'Austral sports 6 decks that include Le Restaurant Gastronomique, the elegant main dining room serving French and international cuisine; the casual Le Grill Restaurant; three lounges offering evening entertainment, bars and access to the open decks; Le Théâtre hosting informative lectures and entertainment; a Fitness and Beauty Corner; a Medical Center; and multiple observation areas. Le Ponant, a three-masted schooner, cruises to small islands, hidden harbors and exclusive ports of call in the Mediterranean and the Caribbean with only 60 guests aboard; she is stylish, friendly and relaxed. You’ll feel as though you are cruising with family – the Captain and the crew create a comfortable environment where guests easily interact with everyone aboard. 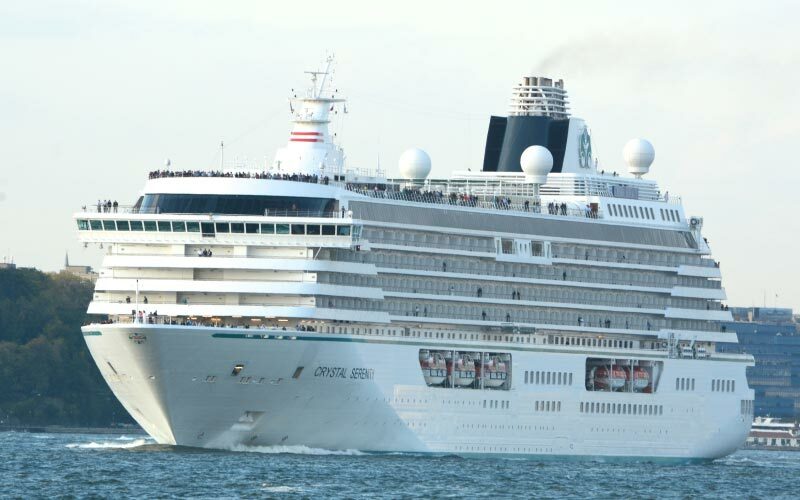 Le Ponant was specially designed for worldwide cruising to remote destinations that big ships can’t reach. 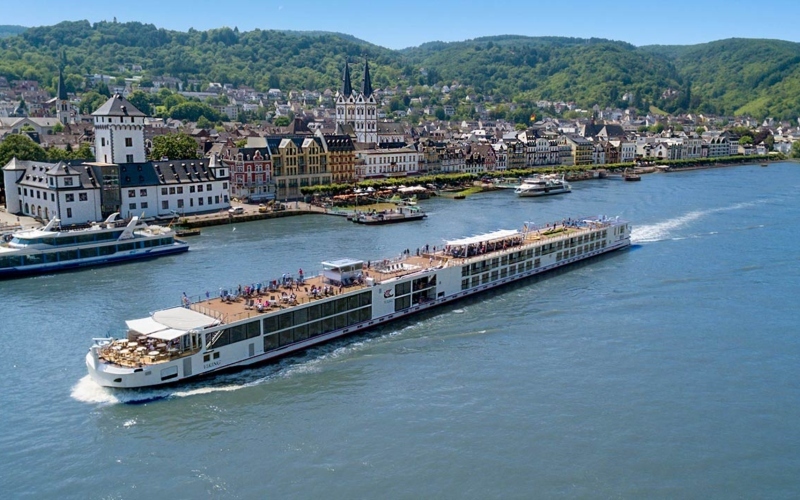 One of our Jewel-class riverboats, ms Swiss Emerald and her sister ships accommodate no more than 118 guests, while similar-sized riverboats average about 160. Guest amenities inside her 14 lush 300-square-foot suites include brocade upholstery, roomy walk-in closets with built-in drawers, spacious marble baths with full-size tubs, and two French balconies with floor-to-ceiling windows that open to idyllic riverscapes. She also sports seven 183-square-foot cabins, similarly furnished. Standard cabins (150 square feet) are cozy and comfortable and are similar in decor and style to our larger suites. 85% have floor-to-ceiling windows with real French balconies that open on to a balcony in the fresh air; all have in-room movies, minibar, adjustable heating and cooling, private bathroom and shower with Molton Brown toiletries. One of five 361-foot (110-meter) riverboats in Tauck's Destination Fleet, ms Swiss Jewel accommodates no more than 118 guests, while similar-sized riverboats average about 160. Guest amenities inside her 14 lush 300-square-foot Tauck Suites include brocade upholstery, roomy walk-in closets with built-in drawers, spacious marble baths with full-size tubs, and two French balconies with floor-to-ceiling windows that open to idyllic riverscapes. She also sports seven 183-square-foot cabins, similarly furnished. Standard cabins (150 square feet) are cozy and comfortable and are similar in décor and style to our larger suites. 85% have floor-to-ceiling windows with real French balconies that open on to a balcony in the fresh air; all have in-room movies, minibar, adjustable heating and cooling, private bathroom and shower with pampering toiletries. 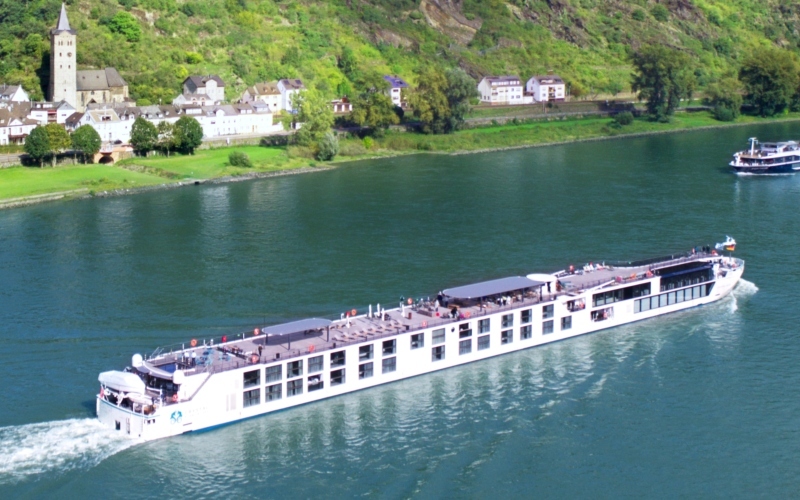 One of our fleet of Jewel-class riverboats, ms Swiss Sapphire and her sister ships accommodate no more than 118 guests, while similar-sized riverboats average about 160. Launched in 2009, guest amenities inside her 14 lush 300-square-foot suites include brocade upholstery, roomy walk-in closets with built-in drawers, spacious marble baths with full-size tubs, and two French balconies with floor-to-ceiling windows that open to idyllic riverscapes. She also sports seven 183-square-foot cabins, similarly furnished. Standard cabins (150 square feet) are cozy and comfortable and are similar in décor and style to our larger suites. 85% have floor-to-ceiling windows with real French balconies that open on to a balcony in the fresh air; all have in-room movies, minibar, adjustable heating and cooling, private bathroom and shower with Molton Brown toiletries. 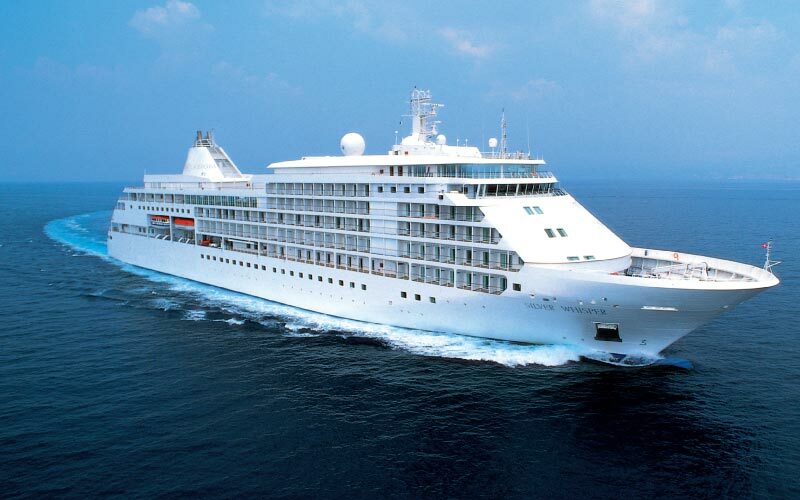 Windstar Cruises’ slogan, “180° From Ordinary,” aptly describes the delights of a voyage aboard the intimate Wind Star. This totally modern, four-masted schooner is designed to show guests the world from the perspective of a luxury motor-sail-yacht. 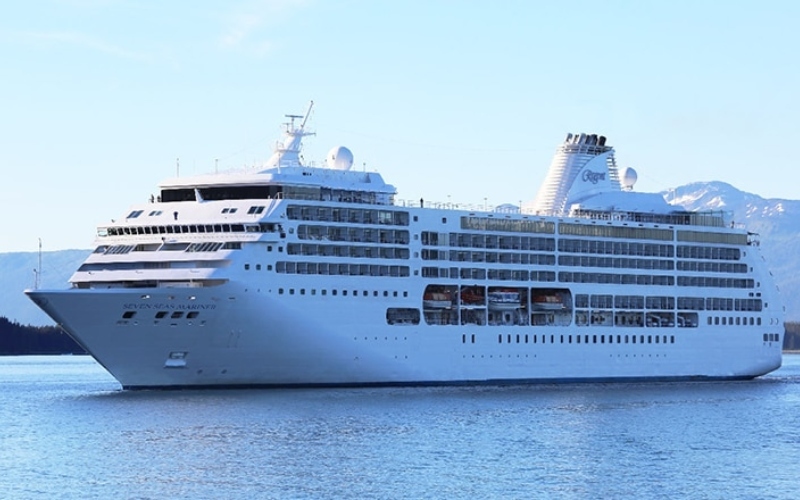 All staterooms (188 square feet) feature ocean views, closed circuit color television, DVD and CD players, a mini-bar/refrigerator, international direct-dial telephones, a hairdryer and private baths with luxurious toiletries and plush robes. Public areas include a salt water swimming pool, a hot tub and the pool bar on deck 4, an intimate lounge and bar, a fitness center, and a library offering books, videos and CDs for use in staterooms. Of particular note is complimentary water-skiing, windsurfing, snorkeling and kayaking, weather permitting. Get ready to embark on a ship built with Galápagos Island cruising in mind! Conceived for operations in remote areas like the Galápagos Archipelago, the new Santa Cruz II boasts five spacious decks with modern interiors designed by renowned Swedish ship designer Richard Nilsson. Just over 70 meters long, the new vessel sleeps 90 guests in 50 contemporary designed staterooms – 36 of which can be interconnected, offering flexibility for families and single travelers. Windstar Cruises’ slogan, “180° From Ordinary,” aptly describes the delights of a voyage aboard one of their new "Pride Class" sister ships, the all-suite Star Pride... one of Windstar's sleek, newly renovated, all-suite power yachts, perfect for warm-weather destinations and ideally suited for up-close exploration of islands and hidden coastal coves where larger ships cannot go. You’ll feel like you're aboard your own private yacht almost as soon as you step aboard. The sitting area of your spacious, newly refurbished suite gives you an expansive ocean view, making it a welcome retreat. Windstar Cruises’ slogan, “180° From Ordinary,” aptly describes the delights of a voyage aboard one of their new "Pride Class" sister ships, the all-suite Star Legend... one of Windstar's sleek, newly renovated, all-suite power yachts, perfect for warm-weather destinations and ideally suited for up-close exploration of islands and hidden coastal coves where larger ships cannot go. You’ll feel like you're aboard your own private yacht almost as soon as you step aboard. The sitting area of your spacious, newly refurbished suite gives you an expansive ocean view, making it a welcome retreat. Windstar Cruises’ slogan, “180° From Ordinary,” aptly describes the delights of a voyage aboard one of their new "Pride Class" sister ships, Star Breeze... one of Windstar's sleek, newly renovated, all-suite power yachts, perfect for warm-weather destinations and ideally suited for up-close exploration of islands and hidden coastal coves where larger ships cannot go. You’ll feel like you're aboard your own private yacht almost as soon as you step aboard. The sitting area of your spacious, newly refurbished suite gives you an expansive ocean view, making it a welcome retreat. Featuring the latest innovations, the elegant Golden Princess offers the ultimate in comfort, style and grace, with a host of activities and facilities for guests to enjoy; from her balconies, guests can enjoy sweeping views of Alaska's fabled landscapes. Staterooms are most comfortable homes-away-from-home featuring amenities such as hair dryers, safes, phones, TV, refrigerators and private facilities with showers. Keep fit in the fitness center or one of the four swimming pools and treat yourself to a soothing adventure in the Lotus Spa. Dine in a variety of different restaurants and enjoy your favorite beverage in one of the many bars and lounges, including Vines Wine Bar, Vista Show Lounge, Wheelhouse Bar, Players Cigar Bar, and the Explorer's Lounge. Browse in the art gallery or the onboard shops. See Broadway or Las Vegas-style production shows or choose a more intimate nightclub-style show. Try your luck in the Grand Casino or dance the night away at Skywalker's Nightclub. Or enjoy the serenity of The Sanctuary®, the casual street café atmosphere of the Piazza, or the great tasting food offered in the Crown GrillSM, Sabatini's or International Café, followed by a first-run film at Movies Under the Stars®. 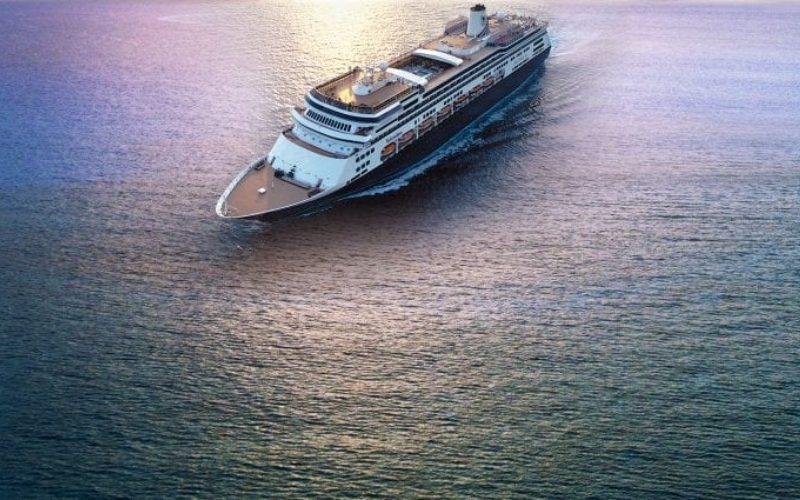 Sophisticated styling, innovative “green” technology, and welcoming, attentive service are all hallmarks of Le Champlain, one of Ponant's new limited-capacity yachts (boasting 92 staterooms and suites) debuting for Tauck in 2019. Like her sister ships Le Lapérouse and Le Dumont d'Urville, Le Champlain is a luxe mega-yacht featuring six passenger decks, a choice of two dining venues and all-included bar and restaurant beverages throughout the day aboard ship, including house wines and spirits. Her environmentally-friendly equipment, elegantly designed cabins, spacious suites with large windows, and lounge areas that open onto the outside offer the perfect atmosphere for a truly unique cruising experience. Le Champlain's facilities and observation areas make your time at sea a pleasure; they include two restaurants and several lounges with access to the open decks and evening entertainment. A state-of-the-art theatre provides an intimate space for lectures and entertainment, while a spa and fitness center provide for travel with ease. 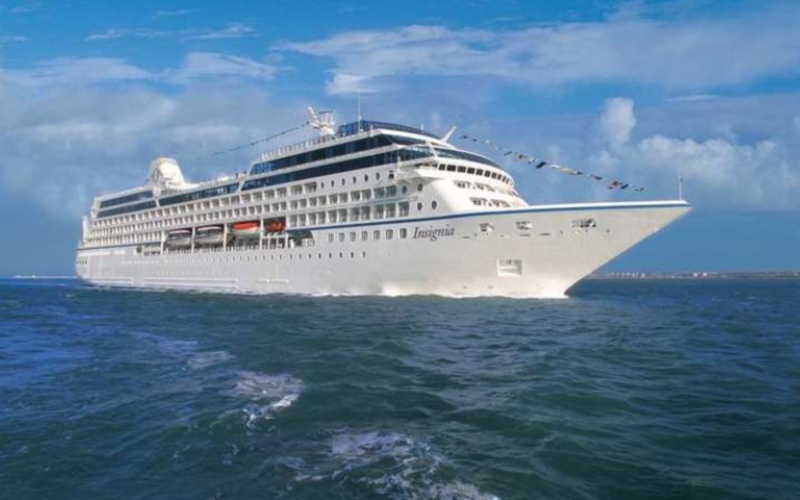 92 staterooms (204 to 296 sq. ft.) and suites (296 to 484 sq. ft.) have sea views; most have private balconies. Decorated by French designers, staterooms offer individually controlled air conditioning and two twin beds that convert to a queen-size bed. Amenities include video on demand, flat-screen TV with satellite channels, electronic safe, hair dryer, iPod Dock and minibar. 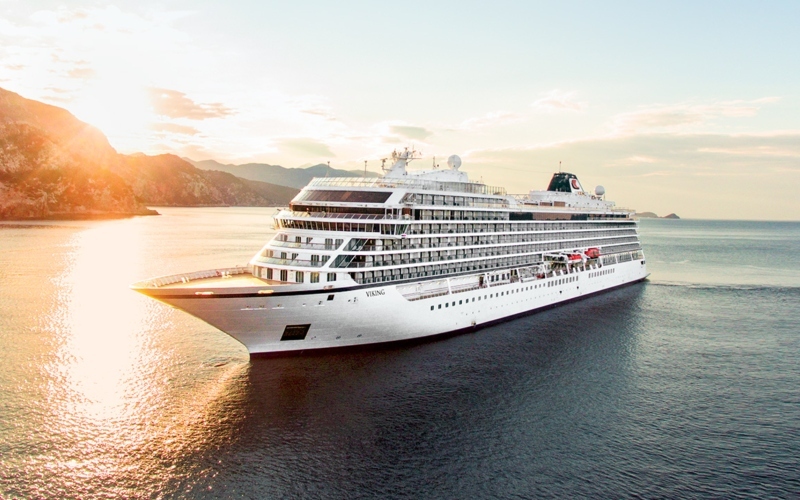 As one of a new series of ships that remain true to the Ponant spirit, Le Champlain will embody the unique atmosphere that Tauck Small Ship Cruising guests have come to expect – a subtle blend of refinement, intimacy and comfort. A voyage aboard Windstar's elegant, newly renovated five-masted Wind Surf perfectly embodies the Windstar slogan, “180° From Ordinary.” The world’s largest sailing yacht, Wind Surf sails with just 310 pampered guests in 154 total staterooms: 31 oceanview suites (376 sq. ft.) with his and her bathrooms, 2 ultra-luxurious Bridge Suites (495 sq. 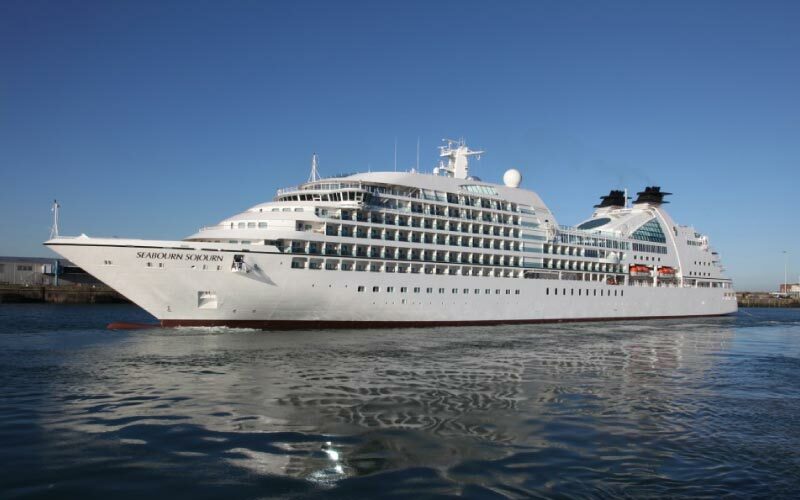 ft.), and 123 deluxe oceanview staterooms (188 sq. ft.). All accommodations feature a Queen Size bed with luxurious Egyptian cotton linens, fresh flowers and fresh fruit, waffle weave robe and slippers, flat-screen TV with DVD player, fully-stocked minibar/refrigerator, safe, direct-dial phone, Wi-Fi, bathroom with granite countertop and shower, granite vanity with magnifying mirror and chair, L’Occitane bath amenities, mirrored closet with ample drawer space, hair dryer and 110/220 outlets. Wind Surf's public spaces include a stylish new reception area; the elegant AmphorA Restaurant and more casual Stella Bistro and Veranda Restaurant; Candles nightclub, Yacht Club Sandwich & Espresso Bar, the Compass Rose, The Lounge, the Terrace Bar, and the Casino; the swimming pool, pool bar and two whirlpools; the Watersports Platform offering complimentary water-skiing, windsurfing, snorkeling and kayaking, weather permitting; the Fitness Center and Nautilus Room; Windstar’s Signature Shop; the acclaimed WindSpa; a photo gallery; and the Bridge (featuring Windstar's Open Bridge Policy). “Casual elegance” defines life aboard these sleek vessels, with jackets and ties never being required. Dining in the elegant AmphorA Restaurant or Wind Surf's other dining venues is an epicurean delight. 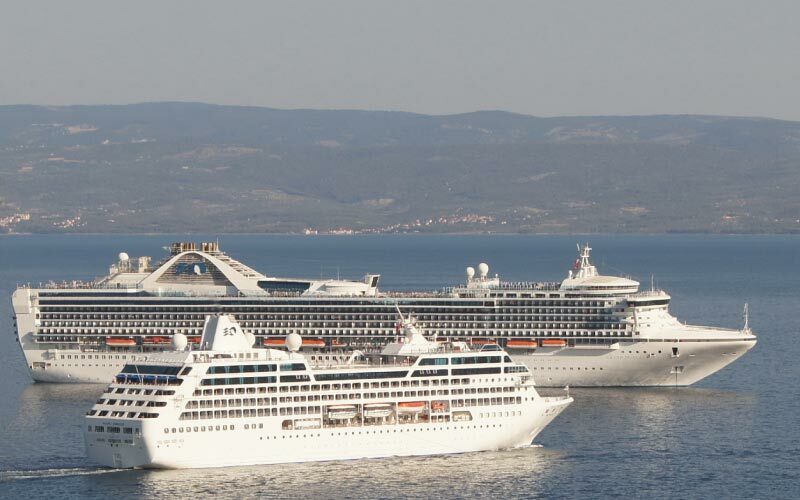 Over 200 crewmembers attend to the needs of just 310 guests, assuring attentive service.